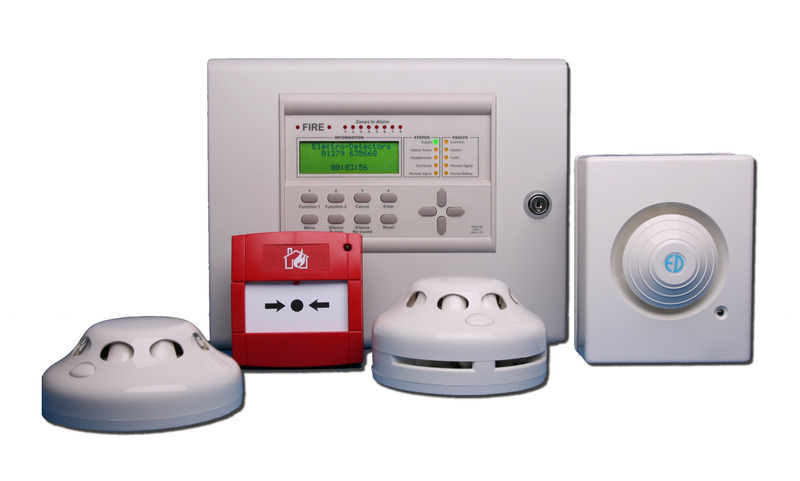 We design, supply, install and commission a range of fire alarms for open protocol systems ensuring that the customer can choose which fire company they wish to provide the servicing and maintenance. With every fire alarm installation, we use equipment from top quality manufacturers and suppliers, ensuring customer satisfaction from start to finish. No two buildings are the same and each Fire Alarm needs to be uniquely designed to meet the needs of the premises and the potential fire risks involved. At Fire Safety Managers, our design team has received advanced training in Fire Alarm Installation’s and Design, enabling them to create a bespoke system unique to the building it’s meant for. This will assist in reducing false alarms and call outs. 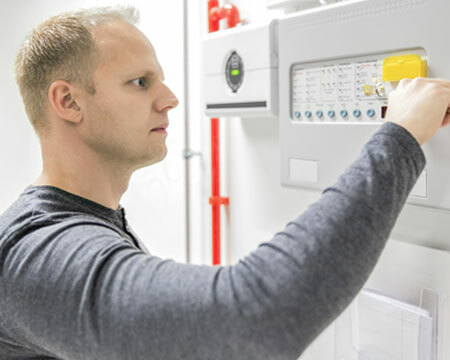 We supply, install, service and commission fire alarms and devices in accordance with the manufacturer’s instructions, and in line with BS5839-1:2017 (a Code of Practice published by the British Standards Institution). It is a legal requirement for your Fire Alarm Servicing to be carried out every 6 months and to keep it in good working order to ensure that your property, business, your staff and visitors are kept safe. Fire Alarm Panels and Associated Devices that are not maintained are considered not to be compliant, and therefore can invalidate your insurance cover. We offer a Site Survey and a No Obligation Quotation for your Fire Alarm Servicing to ensure that the right Fire Alarm Technician with the correct expertise is used to service your Fire Alarm System. Our Technicians are fully competent and qualified to the industry standards to ensure complete customer satisfaction. Paul and his team have been looking after all 11 buildings within the Birmingham Science Park since December 2017 and finally we have a company who are reliable, trustworthy and transparent with their pricing. Its been 7 months so far and they are always there when needed either on the phone or in person. We really have found a great company here who now has all our fire safety contracts and looks after them extremely well. Thanks for all your hard work! I have been the premises manager for 2 independent schools in West Midlands for 5 years now and never given a review for a contractor until now. After all the hard work Paul and the team at Fire Safety Managers has put in to keep us compliant and for less than we have been paying warrants a glowing review. They look after our Fire Alarms, Lighting and Fire Extinguishers all too a high standard. They are flexible and work around our timetables and are never late. We also receive free fire training for the teachers and children which is informative and fun. Thanks very much for all your hard work.